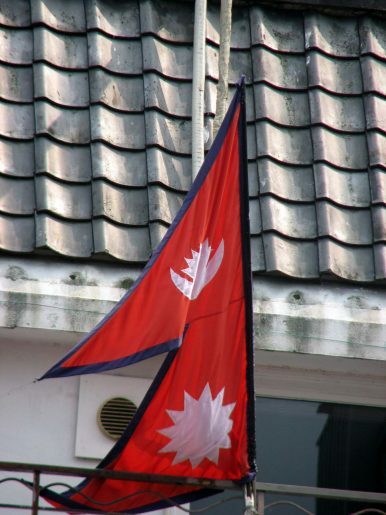 Nepal risks falling prey to digital authoritarianism. To many, including the United States, the evolution of the internet was a celebratory cause since it offered space for the assumption that a different world would ultimately lead to China’s collapse as information became free. Yet today, China boasts its home-grown firewall and takes prides in its surveillance and growing AI capabilities. Now, Nepal’s new communist government isn’t hesitating to copy its northern neighbor’s internet tactics. The Nepal government tabled a new social media bill in the parliament on February 20, sparking outrage and concern among citizens, journalists, and activists. Under the new law, the government will be able to block Facebook, Twitter, YouTube, and other social networking sites if they aren’t registered in Nepal. Also, anyone found violating the country’s sovereignty via social media will be punished with up to five years in jail and a fine of 1.5 million rupees (approximately $13,600). The government, which boasts a two-thirds majority in parliament, has faced severe backlash and criticism from those who term the move undemocratic and a step that suggests the current communist party is taking Nepal toward digital authoritarianism. On the other hand, the government has defended the bill, stating that is high time Nepal adopts this law to protect itself against data exploitation and impose internet safety. Since 2017, the government has been muzzling freedom of expression in various forms. It was only last month that a bill was passed to restrict civil servants from criticizing the government on social media, for example. It is not just social media that the government is trying to control. Last week, a popular folk singer, Pashupati Sharma, was forced to pull down a satirical song after receiving threats from ruling party cadres. The whole nation was divided regarding the song, which had lines that said that it’s free and easy for anyone to loot in Nepal. The lyrics didn’t go over well with the current government, which claims to be fighting against corruption. But, in reality, corruption is still growing at the local levels after the introduction of federalism. The authoritarian moves and state control mesh with a global movement across several nations that are now actively involved in controlling their citizens. Nepal’s move is not limited to networking sites. The government was mired in controversy when it decided to allow Chinese firm Huawei to build the prime minister’s “war room,” but after much criticism, they changed their decision. Moreover, Prime Minister K.P. Oli’s information technology consultant leads Nepal’s leading phone payment service provider Esewa and was accused of tapping into private data for commercial use. It cannot be ruled out that the current government or the opposition parties might use technology to win the next election. In addition, Nepal’s incumbent prime minister appears to be keen on accumulating power. Last week, the Bill on Work, Responsibility and Rights of the National Security Council was registered in the parliament. The bill simply states that the prime minister would have the power to mobilize the Nepal Army, bypassing a meeting with the Council. Analysts are not just concerned about this, but also about the government’s move to bring various agencies under the prime minister’s office. The agencies include the National Investigation Department, the Department of Revenue Investigation, and the Department of Money Laundering Investigation. This means that the prime minister’s office will have more say in issues concerning the economy, foreign relations, and national security. Once the bill is passed, Article 267, which states that the president can mobilize the army per the cabinet’s decision and council’s recommendation, is set to disappear from the constitution. China is adamant today in spreading its authoritarian model and there’s no doubt that it will go to any extent to replace the current international world order. As Nepal cozies up with China, both technologically and economically, the Himalayan nation’s communist government looks northward to learn how to rule a nation. If this continues then there’s no doubt that Nepal’s young democracy and the freedom and rights of ordinary Nepalis will be compromised in the coming years. The stakes are high and it’s up to the political fraternity and people of Nepal to safeguard their democracy and values for now and ever. If not, this tiny Himalayan nation will likely succumb to digital authoritarianism and lose its hard-earned democracy. Nepal marches ahead as a cricketing nation, but challenges remain.